Apart from the St. Ali group, the cult coffee scene in Melbourne is heavily dominated by the Seven Seeds group and Market Lane Coffee, both of which were our next pit stops on our whirlwind coffee crawl during our short visit down under. Kappabashi is popularly known as Tokyo’s ‘kitchen-town’ and is truly a place with shitamachi (old-school downtown) flavour. 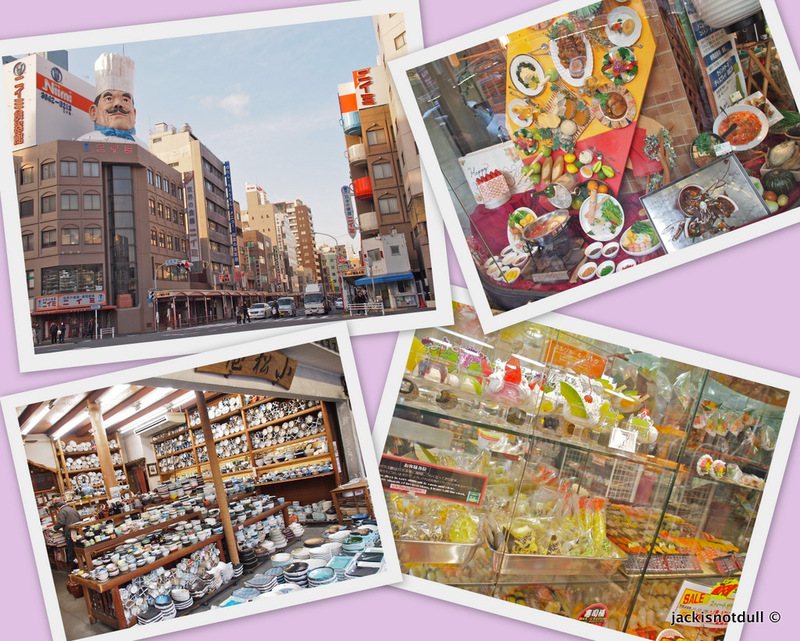 There are dozens of shops lined along Kappabashi Dori selling kitchenware and anything and everything you need to start up a restaurant – think specialty shops offering plastic food, blackboards and menus, chef knives, yakitori grills, chef uniforms and large ice cream cone fixtures, to name a few. Even if you just love to cook, this street will drive you wild – this is, by a mile, my favourite place in Tokyo and I can spend as much as half a day here each visit. A day after last Friday’s earthquake, I hurried down to Kappabashi Street, concerned how the store owners and their wares were keeping. I had just been to Mashiko the day before the earthquake stuck and read that many of the stores and museums had suffered substantial damage. At Kappabashi, business was as usual on Saturday for most stores. While some reported minimal damage to goods, thankfully, most had escaped unscathed. I highly recommend this wonderful stretch of shops just one station away from Asakusa if you are thinking of setting up a restaurant or cafe, love cooking or simply want to marvel at the many offerings on display – one of the most meaningful and fulfilling ways spend an afternoon, in my opinion! Nearest train station: Tarawamachi Station on the Ginza Line, exit 3. One dark and stormy night in late January this year, we had the privilege to be two of 16 guests in a post-dinner card game played by Joavian Ng and Paloma Calle in the interactive performance, The Diary of Alice (presented by Theatreworks). We gathered around a long rectangular table in the dining hall of the Baba House sipping copious amounts of Whiskey as our female leads entertained us with their playful artistic exploration of ‘Alice’ and the fascinating universe of identities. The setting could not have been more perfect – as the plot intensified, so did the dramatic shift in weather conditions; rain pelted down right into the enormous air well beside the dining hall, which made for almost perfectly orchestrated sound and lighting effects.